The Well-Read Redhead: The Well-Read Runner: New Plans! 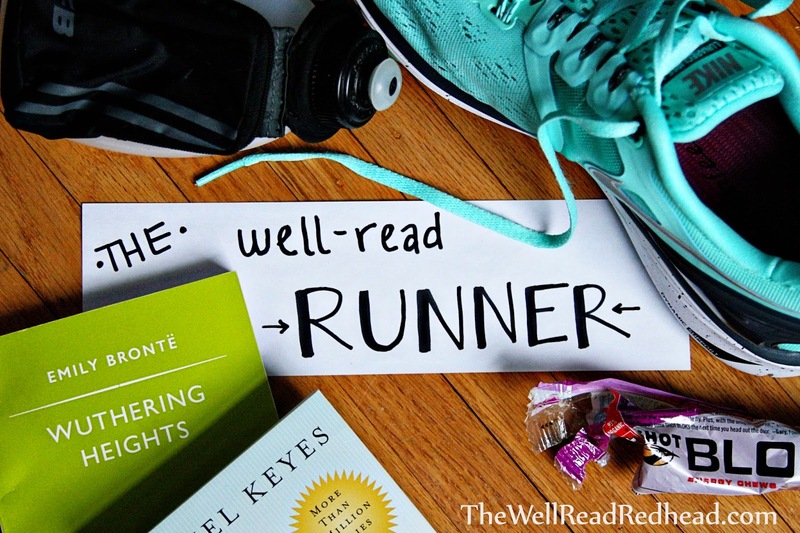 Hello, runner/reader friends! After taking over a month off from this feature after the Mystic Half, I'm back with a little update on my running activities of late. After taking a much-needed break, I've been back in the saddle, just running for fun. I have a love-hate relationship with non-training runs. I love them, because it's nice to just go out, ignore the Garmin, not worry about pace or distance, take in the scenery. Sometimes when I'm in training, I'm so focused on whether I'm hitting race pace, or what direction I need to go in order to add that extra mile to my run, that I can't just enjoy the act of running. So, running-for-fun has been rather excellent in that regard. However, when I don't have a training goal, I get lazy. It's hard to motivate myself to get up for early morning runs (the best time of day for me to fit them in). It's hard to push myself to do more than 2-3 miles at a time, if I know I don't have to. I don't want to lose the speed I've gained in race training, but it's hard to run speedy when you know you can just take it easy! 1. Set a 5K PR before year's end. I don't think this is a particularly hard goal, seeing as how last week, after a REALLY REALLY bad day, I went for a run and beat my 5K race PR (27:02) by OVER A MINUTE. What?? 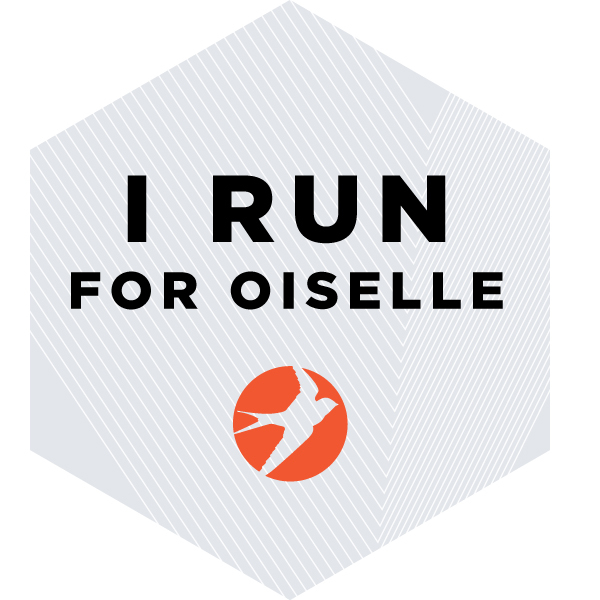 I signed up for the Shoreline 5K in Hamlin, NY later this month, which is rumored to be fast and flat. Time to crush my sub-27:00 goal! I'm also registered for Vino and the Beasts obstacle run 5K next month (basically an excuse for my friends and I to drink wine while running? ), as well as the Summerfest 5K in Mendon on Labor Day weekend, but that one is partially on trails (which I've never raced before), so I'm doing it without PR goals in mind. 2. Run at least 1 race that is longer than 5K before the end of the year. This will likely be the Monster Scramble 10K in Rochester in October--one of my close friends was diagnosed with multiple sclerosis last year, and the race raises money for the National MS Society. I plan to fundraise like heck and run my heart out!! 3. Sign up for the 2016 Four Seasons Challenge. So that's where I'm at. Even though I'm fairly confident in my ability to get a PR at Shoreline in a few weeks, I'll be working on some speed work before then...and pushing myself to get up for those 5am runs more often!! Now that we're at mid-year, how are your fitness goals going? I'm happy with where things are at! In 2 weeks I start training for the Chicago marathon, and I feel like i"m in a good place! The four seasons challenge sounds so cool. A friend of mine is doing a similar thing this year in NYC with the five boroughs (though I think those are varying distances). Good luck! Oooh that sounds fun! NYC has a great running community, so many good races to choose from. The Four Seasons challenge sounds awesome, Kelly, as do all of your upcoming goals; way to get back out there, girl! Can't wait to follow along; you're going to do great! Thanks Tara! It is nice to get back into it...as much as I find it easy to be lazy, I also just love love love the feeling of a good, strong run.